This novel is a standalone story which takes two extraordinary characters and follows them as they independently begin to unravel some of the greatest mysteries of our universe. Their missions are dangerous, and they are all venturing into the unknown...and if they can uncover the secret to faster-than-light travel then new worlds will be at our fingertips. But innovation and progress are not always embraced by everyone. There is a saboteur at work. Different factions disagree about the best way to move forward. And the mysterious Watchkeepers are ever present. Completing the informal trilogy which began with Blue Remembered Earth and On the Steel Breeze, this is a powerful and effective story. Fantastic. One of a kind. Different. 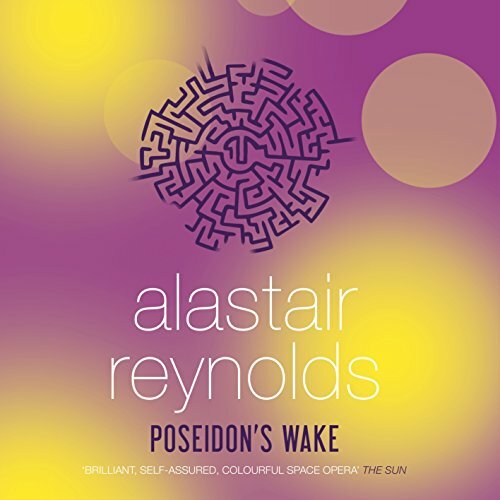 If you could sum up Poseidon's Wake in three words, what would they be? If you want an action packed story look elsewhere. This is a story about people, their feelings, day-to-day interactions... Very interesting mix of hard science & nature animal story. Wird als "Standalone" verkauft, ist aber der finale Teil der Poseidons Children Trilogie. Die selbe Sprecherin wie in Teil 1&2, sie hat den afrikanischen Ursprung der Hauptcharaktere sehr glaubhaft vermittelt. Fantastic. Unlike any other scifi book. Absolutely anything like recelation space. No space battles. A story of exploration. If you don't like a story revolving around a rich century spanning african, elephant loving, family this isn't a book for you.